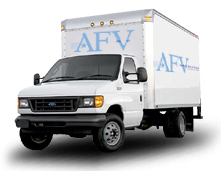 American Food & Vending is the answer to your vending service and coffee service needs in Norwood. Vending machines and having great coffee can benefit your business. Having food and beverages at work will stop employees from having to leave to go get them. They will be glad to have them close at hand also, and can get a quick boost and back to being productive at their jobs. 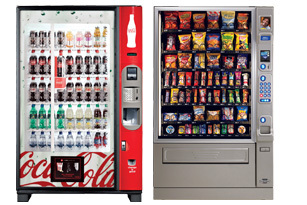 Your Norwood business will have lots to choose from with our energy saving, attractive and innovative vending machines. We will install them, maintain them, and keep them full at no expense to you! You can have Coca Cola vending machines, Pepsi vending machines, snack vending machines, candy vending machines, hot and cold food vending machines, vending machines loaded up with nutritional food and beverages, and vending machines with generic items. Every office requires water. Water bottles take up a lot of room, are heavy to lift, and are a recurring expense. American Food & Vending can install a water filtration system at your Norwood business that will eliminate them for good! You’ll have an endless supply of great tasting water that will improve the taste of your favorite beverages, hot or cold. You’ll just have to decide what to do with all the extra space when those water bottles are gone! American Food & Vending also offers Norwood businesses with the best coffee service in town. Don’t pay an employee to go out and try and keep the break room stocked by shopping the warehouse store! We’ll handle everything. Single cup machines, pour over pots and air pots, coffee, filters, cups, napkins, creamers, sweeteners, teas, hot chocolate, and stir sticks fully stocked and organized, without the hassles. And all it takes is a phone call, or fill out our “contact us” page on our website. Your Norwood employees will be glad you did! (800) 553-2222.